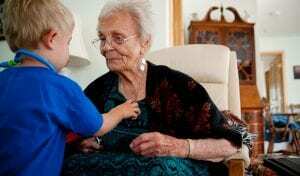 When it comes to the health, safety, and welfare of your elderly parents, there is nothing wrong with asking for help. If you have family members that live closer, enlist their help. 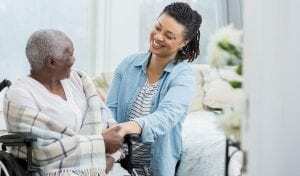 If needed, research care options that include in-home health aides, nurses, companions, and more. Make use of the resources available to seniors in your parents’ community. Local and regional resources, and benefits and coverage from insurance, can aid in providing additional care. 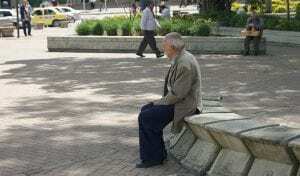 Loneliness and depression is common among seniors, but it can be especially true when family members are not close by. Even if you are busy, make a point to stay in touch often. 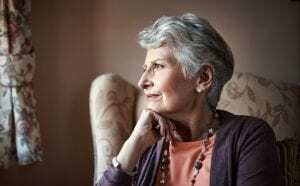 Connect with your parents and anyone who is providing them with care. You and your parents will both benefit from a healthy relationship, and will give you a base of communication if an emergency ever occurs. Today’s innovative world allows seniors to add a variety of items to their homes that aren’t just convenient but keep them safe as well. Add accessories to bathrooms like shower seats or grab bars to prevent slips and falls. Invest in smart gadgets for checking in on them or keeping track of medications. If you are unable to install these types of items yourself, enlist the help of professionals that are trained to do so. Take advantage of the time you do have together and the resources available at your disposal to get organized. In the event that something happens while you are not close by, having your ducks in a row can eliminate a lot of stress and help you get things done faster. Gather and make copies of everything you think is important involving your parents. These things can include personal documents like birth certificates, important medical records, contact information, legal documents, and more. When a parent ages, healthcare becomes more important than ever. You and your parents should keep medical records, medication lists, and contact information available at all times. Ensure that as a caregiver, you can have access to your parents’ medical team. This not only allows you to check up on any condition or concern but also contact the necessary people in the event you need to. 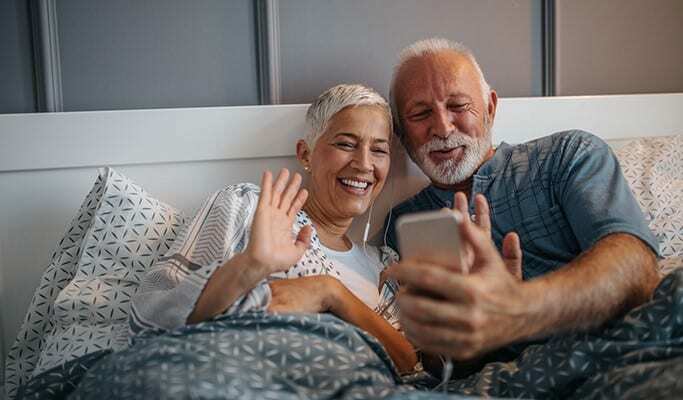 Communication is key when it comes to being long distance caregivers, but when you’re not available at a moment’s notice, plans need to be communicated completely. You and your parents should know what to do in a variety of situations and events, what their wishes are, and who is responsible for what. You should also be open with each other about changing these plans when necessary. This helps both you and your parents stay on the same page and ensure they get the care they need. 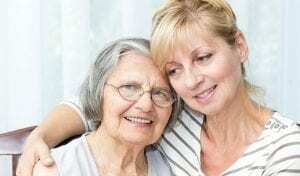 For more detailed tips for long-distance caregiving, the Family Caregiver Alliance has created a helpful handbook that you can download from their site here. Contact our trusted professionals at Freedom Showers today to learn more about keeping your parent safe while you’re away. We understand the long distance caregivers want the best for their families. 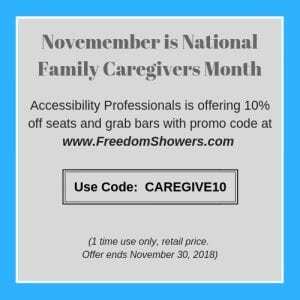 To find out more about making the home safer for an elderly parent, check out our inventory of stylish grab bars and other accessories.